They’ve long held the roles outside of the cockpit. Now more women are seeing their careers as pilots take off, as more opportunities to train and become pilots become available. Linda Sollars wanted to fly for as long as she can remember. But it wasn’t until her mid-thirties that she flew professionally. In her teenage years, when she approached her high school guidance counselor about becoming a pilot, she was told it was not an option. “They said, well you can’t. That’s a guy’s job. 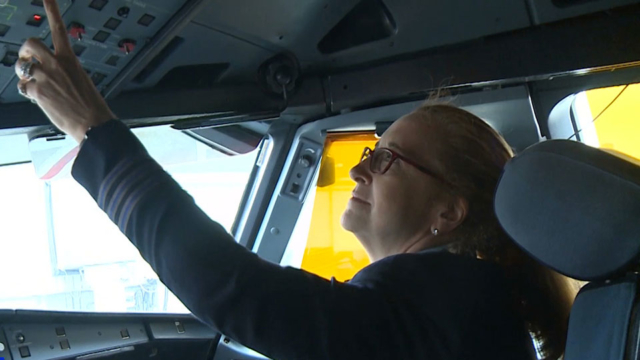 You can’t fly because you’re female, but you can become a flight attendant,” said Sollars, JetBlue First Officer. At that time in the 1970s, the airlines mainly recruited from the U.S. Air Force where women were not allowed to fly. Another impediment was her less than perfect eyesight. None of this kept her away from the skies. She took flying lessons and began piloting her own plane. She didn’t pursue it professionally until later. She went into finance instead, eventually working at a hedge fund. At the age of 35, when she found out the eyesight requirements for pilots had changed, she left her job to pursue her dream, earning a quarter of what she made on Wall Street. She hasn’t looked back. “I love everything about the airline operation. I love the bag carts that are running around and watching them. I like the orchestra of all of these people and processes coming together and I mean it’s just a beautiful thing to behold every day as well as looking out the windows, of course. It’s really exciting,” said Sollars. More women are flying today than in the 70s, but flying is still very much a man’s business. 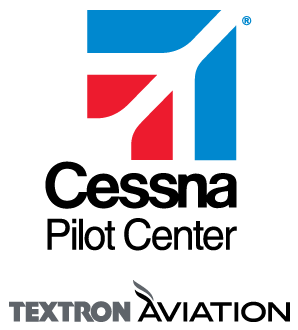 According to the U.S. Federal Aviation Administration, only 7 percent of licensed pilots are women. They represent only 4 percent of those licensed to fly for airlines. But change could be on the horizon. For women aspiring to work in aviation now could be a better time than ever. That’s because there’s a pilot shortage in the United States and as a result, airlines as well as flight schools are actively recruiting females. There is plenty of opportunity. Thousands of pilots at the airlines are reaching the mandatory retirement age and there are fewer recruits in the Air Force. Flight school owner Gregory John says this is pushing wages up and the airlines now offer more family-friendly benefits, which he hopes will entice more women, who he says make excellent candidates. “As we saw with the Southwest incident, women tend to be very calm under pressure. In aviation when things tend to happen, we have a lot of procedures that we go through and sometimes it’s important to just slow down and go through the procedures. And I think inherently women sometimes do a better job at that, depending on the situation,” said Gregory John, Infinity Flight Group President. In April, Tammie Jo Shults, a pilot for Southwest Airlines was hailed as a hero for successfully landing a plane in Philadelphia after engine failure caused a window to break and a passenger to be sucked out of the aircraft. “I was impressed by listening to the tapes of her calm under pressure. She didn’t sound any different than if she was just talking to the controllers completely routine. She kept her composure. It was very inspiring,” said Cindy Treyger, flight school student. Cindy Treyger is a student at Infinity. She used to be a Russian linguist in the U.S. Air Force. She, like Sollars, is pursuing her dream later in life-mainly because she didn’t think being a pilot was within her reach. “It just didn’t seem realistic. It was kind of fantastical. Something you see other people do,” said Treyger. It’s a sentiment echoed by Christina Reichold who is also working on her pilot’s license. Her father was a pilot as is her brother. She hopes she’s next. “I started to hear stories about my brother and I saw the passion that he had when he flew – and I was like hey this is something really neat – you get paid to travel and fly. That’s awesome. Why not give it a try,” said Christina Reichold, flight school student. First, she became a flight attendant, but then she realized she could go even further with it. She expects to finish flight school in six months and then start applying for jobs. Sollars, who mentors others, hopes more women will realize that they, too, can become pilots, but for now they remain a curiosity. “There is rarely a flight that I take that I don’t get a double take when I’m saying goodbye. ’Oh, you fly that? Did you land this plane?’’ Or they’ll look past me and say, ‘Tell the pilot it was a good landing.’ So, people are it’s just not that common,” said Sollars. Flying has long been a man’s profession. Amid a pilot shortage, will that change?